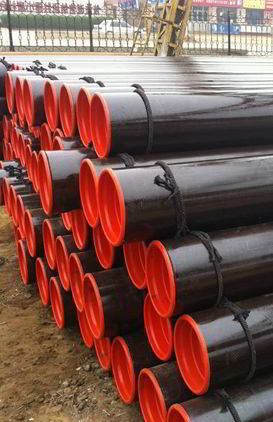 Carbon steel API 5L X42 Line Pipe Supplier, API 5L Grade X42 PSL1 Line Pipes, API 5L L290 Line Pipe Stockists, IBR approved API 5L X42 PSL2 Steel Line Pipe Exporter, 3LPP Coated API 5L X42 Line Pipe, API 5L X42 FBE Coated Line Pipes in Mumbai, India. API 5L L290 Carbon Steel Seamless Line Pipe Traders, API 5L X42 Welded Line Pipes Stockholders, Black Steel API 5L X42 Line Pipe Distributors, 3LPE Coating API 5L L290 Line Pipe Dealers in Mumbai, API 5L X42 Plain End Line Pipes in India. 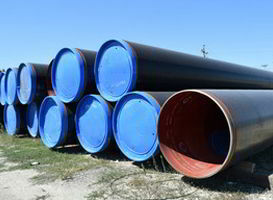 API 5L X42 line pipe is mainly known for the extensive properties and innovative and customizable design. They are easy to furnish and considered best for the transportation of various materials. However, there are some who have this question that why should we choose such pipes. And the answer is its high strength and durability which makes people use it. There are various industries that use such steel products to make the work more suitable and easy. 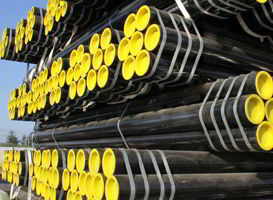 These steel pipes sustain both international and national standards and use in various applications. Adhering to national and international guidelines and norms, these pipes have ISO certificate which easily standardizes the transportation of such products. API 5L X42 pipe is available and comprises in the range of PSL 1 and 2, where PSL 1 contains standard specification with no additional chemicals or physical properties whereas PSL 2 contains few additional properties. 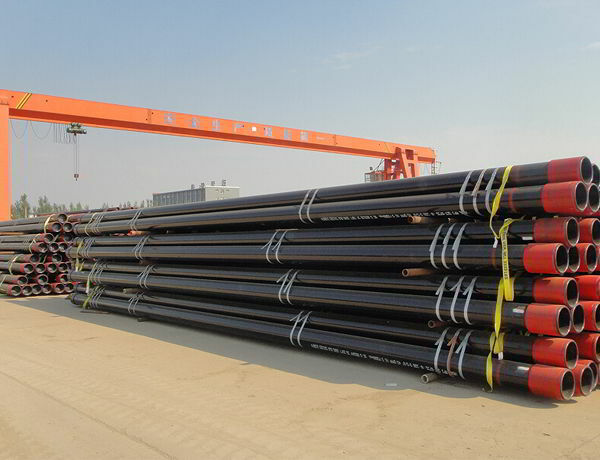 As we have already mentioned that API 5L X42 line pipe meet both national and international standard like ASTM and API. Not only this, few additional testing is also done to prove its quality and capability such as NACE MR0175, NACE TM0284, HIC TEST, IBR and H2 service. They are manufactured, test and inspected by relevant standards that include ASME, ASTM, and API. Its size varies from 2 to 24 inches and available grades are PSL 1 and PSL 2. These pipes are individually packed and wrapped in wooden crates or wooden boxes. They are even packed as per customer's requirements and request. Pimpri-Chinchwad, Sharjah, Singapore, Riyadh, Manama, Chandigarh, Noida, Ulsan, Atyrau, Milan, Bengaluru, Al Khobar, Karachi, Ludhiana, Ahmedabad, Rajkot, Secunderabad, Montreal, Ranchi, Los Angeles, London, Nashik, Moscow, Thane, Toronto, Santiago, Al Jubail, Perth, Muscat, Nagpur, Aberdeen, Kolkata, Lagos, Kanpur, Ahvaz, Vadodara, Hyderabad, Visakhapatnam, Bhopal, Cairo, Ankara, Jaipur, Houston, Coimbatore, Tehran, Gimhae-si, Ho Chi Minh City, Brisbane, Chiyoda, Ernakulam, Dallas, Bangkok, Abu Dhabi, Jakarta, Melbourne, Howrah, Calgary, Istanbul, Vung Tau, Dubai, Geoje-si, Sydney, Mumbai, Bogota, Surat, Jeddah, Faridabad, New York, Gurgaon, Busan, Pune, Doha, Colombo, Port-of-Spain, Granada, Edmonton, Mexico City, Courbevoie, Madrid, Chennai, Thiruvananthapuram, Petaling Jaya, Rio de Janeiro, Jamshedpur, Navi Mumbai, Haryana, Dammam, Caracas, New Delhi, Seoul, Baroda, Lahore, Indore, Hanoi, Kuala Lumpur, Kuwait City, La Victoria, Algiers, Hong Kong. South Africa, Nigeria, Ecuador, Egypt, New Zealand, Tibet, Bolivia, Iraq, Spain, Indonesia, Morocco, Italy, Thailand, Denmark, Singapore, Kazakhstan, Saudi Arabia, Hungary, Finland, Namibia, Iran, Ukraine, Bangladesh, Argentina, Belgium, Poland, Mongolia, Belarus, Germany, Iran, United Arab Emirates, Trinidad & Tobago,Tunisia, Jordan, Mexico, Yemen, Zimbabwe, Croatia, Azerbaijan, Costa Rica, Libya, Russia, Gambia, United Kingdom, Estonia, Pakistan, Bahrain, Oman, Afghanistan, Vietnam, Switzerland, Hong Kong, Kuwait, Ghana, Kenya, Brazil, Sweden, Puerto Rico, Gabon, Macau, Mexico, Portugal, Colombia, Austria, Taiwan, Greece, Ireland, Netherlands, Malaysia, Bulgaria, Canada, Poland, Venezuela, Czech Republic, Nepal, India, Qatar, Lithuania, Australia, Norway, China, Chile, Angola, Sri Lanka, Nigeria, South Korea, Philippines, Chile, United States, Bhutan, Japan, Lebanon, Turkey, Romania, Israel, Peru, France, Serbia, Slovakia, Algeria.